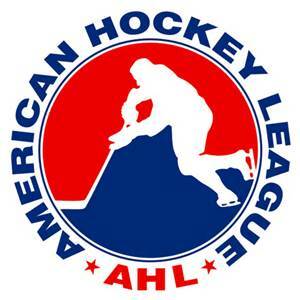 The Pittsburgh Penguins top affiliate, the Wilkes-Barre/Scranton Penguins play in the AHL's Atlantic Division, competing with hated in-state rivals, The Hershey Bears and Lehigh Valley Phantoms. Just 96 Miles to the south on Interstate 81 is Hershey, Pa; Home of the Hershey Bears who have been bitter rivals with the Little Pens ever since they have joined the AHL in 1999. The Bears have a storied history and have 11 Calder Cup Championship Banners hanging in the Giant Center. The Penguins meanwhile, have lost in the Calder Cup Final 3 times in their brief 17 year history. Last season saw things heat up even more after a 7 Game playoff war that ended on a Carter Camper OT goal that would eventually propel the Bears to the Calder Cup Finals. Even closer, only 62 Miles down the Northeast Extension of the PA Turnpike lies the City of Allentown, Pa; Home to the Lehigh Valley Phantoms (formerly the Philadelphia Phantoms and Adirondack Phantoms) who are entering their 3rd season in the Lehigh Valley. The Phantoms have also been one of the Pens' top rivals going back to their time at the Spectrum in South Philly. Philadelphia won a Calder Cup during the NHL's strike season in 2005, and defeated WBS along the way while riding star rookies Mike Richards and Jeff Carter. As truly awesome and unpredictable as these rivalries have been over the past 17 seasons, there is reason to believe that 2016-17 may see the heat between these three adversaries get turned up even more. Hershey obviously eliminated the Penguins in seven games last season, and also edged them out on the final weekend for the division crown. That alone should be enough to give the returning Pens even more motivation to try and dethrone the rivals from ChocolateTown, USA. Let's not forget that Tom Sestito is back after he had a postseason war with Hershey's Liam O'Brien that not only played out on the ice, but in front of the entire twitter-verse. The two fought in 3 consecutive games to close out the series, and exchanged some very heated words with reporters following the contests. Although they did show each other great respect in the handshake line following the Bears' Game 7 triumph, something tells me that we haven't yet seen the last of this particular hockey battle. 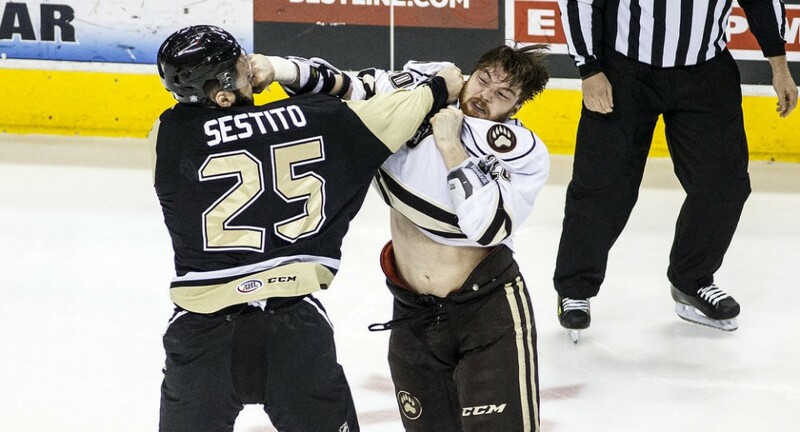 O'Brien was booed in the Mohegan Sun Arena and Sestito was harassed literally every time he touched the puck in Hershey. Hecklers screamed insults at him during the National Anthem as well as during his stays in the penalty box at Giant Center. That kind of dislike doesn't just disappear over the course of one measly offseason. The best rivalry in the AHL is sure to get even better this coming season, you'll want to keep an eye on it, trust me. Much like the parent clubs of each team (Flyers/Penguins) the Pens and Phantoms have never enjoyed each other's company very much. One of the highlights of this rivalry came during a playoff series when WBS folk hero Andy Chiodo and former Flyer Antero Nittymaki squared off in a lopsided Goalie Fight. It ended with Nittymaki's jersey over his head while Chiodo sat on top of him while dropping a huge right hand; for those of you familiar with MMA, it's what you would consider Ground-and-Pound. 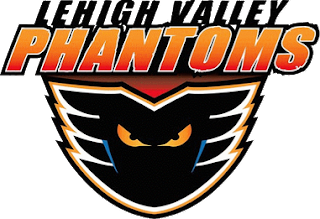 That night much sums up this rivalry, and now that the Phantoms find themselves in such close proximity, it has picked up right where it left off when the Flyers' farm club left the division and moved to the Adirondack Mountains while the arena in Lehigh Valley was being built. Lehigh Valley has been near the top of the league in attendance through their two years in Allentown, and every time they travel north to the Mohegan Sun Arena they bring quite the following. Despite their popularity the Phantoms have not had a great deal of success on the ice since relocating in the Lehigh Valley, failing to qualify for the postseason each year. Flyers GM Ron Hextall has taken steps this offseason to make sure that changes. The Phantoms will be hosting the All-Star classic this season and it would appear they want to make their Calder Cup playoff debut as well. Hextall has made several key pick-ups that will more than likely affect the AHL club at one time or another. T.J. Brennan, the best offensive defenseman in the AHL over the past 2 or 3 seasons, is the biggest name that may call the PPL Center home this fall. He brings a ton of pro experience and an uncanny knack for scoring goals from the blue line, a trait that has become increasingly rare over the years. Will O'Neill has departed the Penguins blue line and takes his offensive prowess South on the turnpike and will look to continue his development while wearing the Orange and Black this time around. They also added big time AHL talent in Forward Andy Miele who is consistently near the top of the AHL's scoring race. The Penguins would like to capture their first Calder Cup in its brief but very successful history, but In order to accomplish that goal it would appear that they will need to out-duel their In-State rivals. They will play both Hershey and Lehigh Valley 12 times each and as mentioned earlier, there will indeed be fireworks. Look no further than Eastern Pennsylvania when searching for a contender in the AHL's Eastern Conference, history and common sense tell us that if you can be the best team in PA, then a playoff berth and possible division title will more than likely follow. Thanks for reading! Give me a follow on Twitter @jfoo1654 and keep an eye out on +Pens Initiative .